Orio's net sales for the third quarter of 2018 decreased by 21 percent compared to the corresponding quarter of the previous year and amounted to MSEK 148 (188). Operating profit for the quarter was MSEK -2 (1). For the period January to September 2018, net sales amounted to MSEK 467 (587), a decrease by 20 percent compared to the corresponding period last year. Operating profit for the period amounted to MSEK 1 (4). During the quarter, one of Orio's customers in the Logistics business area - PSA / Opel - has terminated a contract for logistics services from Orio with effect from 1 November 2018. As a consequence, 36 people were notified of redundancies in Nyköping. The trade-union negotiations were terminated on September 29, resulting in 22 people being made redundant due to lack of work. However, the underlying trend in logistics is positive and we see increased demand for our services as well as a growing customer base. The long-term venture in Logistics will be further intensified in coming periods, says Jonas Tegström, CEO of Orio AB. 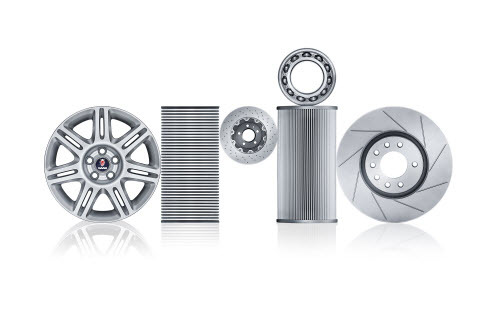 The business area Parts reports a continued decline in net sales on Saab spare parts, especially in the US. Net sales of Orio Parts continue to grow, but we still see challenges in the market and increased competition, which means that the growth rate does not meet the decline in Saab sales, says Jonas Tegström. Cash flow from operations for the quarter was MSEK 8 (37) and the equity ratio per 30 September 2018 was 75 percent (77).